Charmaine Parker Home Charmaine Parker. Glass Artist. Metalsmith. Asian Bead Set. lampworked glass beads with handmade silver bead. Charmaine Parker’s jewelry is about color and light. 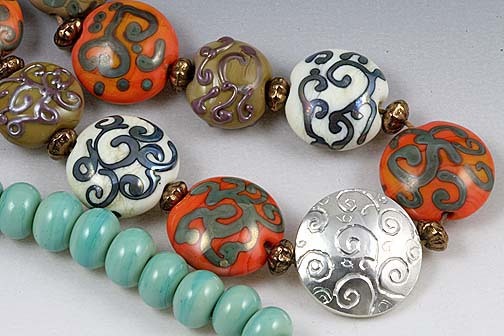 Using glass as her main medium, she creates jewelry combining glass, metal, and beads. She designs and handcrafts each glass piece by fusing, lampworking and lapidary techniques. Metalwork is fabricated entirely by the artist, from design to conception, using traditional metalsmithing techniques. Please browse the site to learn about the artist, and her work. If you would like to contact Charmaine Parker, follow the "Contact Me" link.